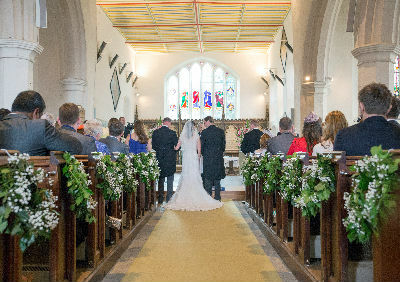 We are delighted to welcome couples wishing to get married in one of the four BART churches. To be married in BART at least one of the couple will need to have a residential or other qualifying connection with one of the four villages. To find out if you have an appropriate connection you can consult the Church of England website at www.yourchurchwedding.org. Please do not hesitate to contact the Rector to ask for advice. It is not our usual practice to marry a couple where one has a divorced partner still living. If you have decided on a civil ceremony, we will be pleased to talk to you about a Service of Prayer and Dedication after a Civil Marriage. We are committed to helping all our marriage couples to prepare wisely for their new life together and to have a memorable wedding day. We invite all our marriage couples to a marriage preparation day and we will also spend time with you to plan your own special ceremony, around the music, readings and prayers that will be meaningful for you.